· Door to door service from all over the world to (West Bank, Gaza and Israel). · Personal import from all over the world to (West Bank, Gaza, and Israel). · Air, land, and sea freight, whether your shipment is a Full Container Load (FCL) or Less than Container Load (LCL). 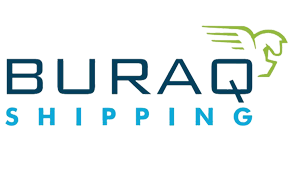 · Customs clearance, in which it has an expert staff in the clearance of all kinds of cargos. · Warehousing service, in which Buraq has its own warehouses in both West Bank and Israel. · Collecting service in Turkey, in which Buraq in Palestine, with the cooperation of Buraq in Turkey, offers the service of collecting the traders’ goods in the company’s warehouses in Istanbul, with an excellent follow up from its employees in Palestine and Turkey. · Fluency in Arabic, English, Hebrew, and Turkish languages, so it has the flexibility to contact with a wider range of customers from all over the world.